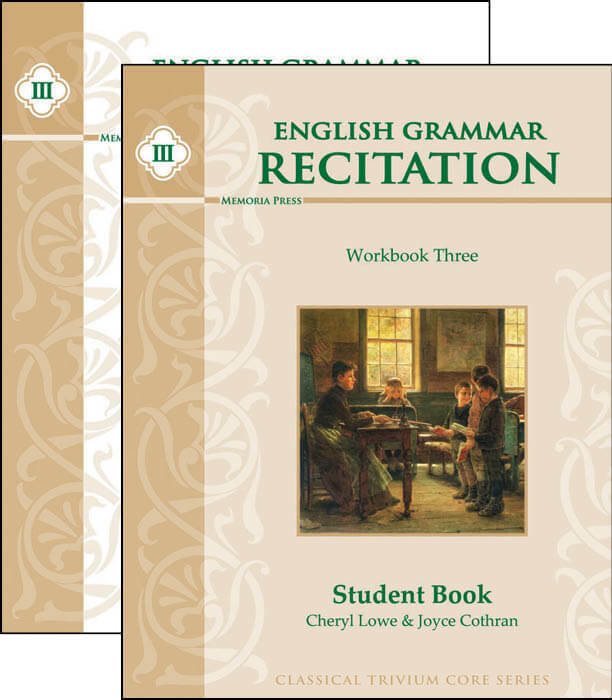 English Grammar Recitation Workbook Three is tied specifically to the grammar taught in Second Form Latin and covers 37 additional grammar rules, as well as expanding on the capitalization and punctuation rules taught in Books One and Two. 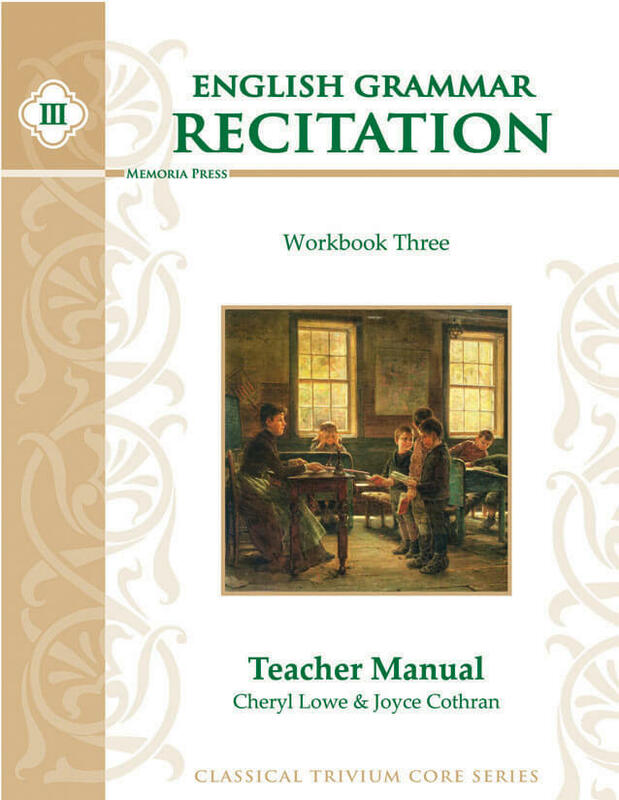 Required supplement: English Grammar Recitation is unique because it is consistent with the trivium stages of learning. It emphasizes memorization of facts first as the necessary preparation for the logic-level skills of diagramming and analysis. 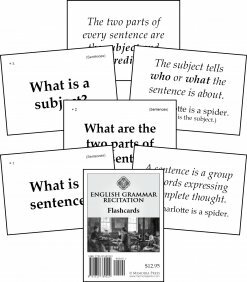 It covers common capitalization and punctuation rules, and approximately 150 grammar facts in a logical and systematic sequence. English Grammar Recitation is a comprehensive list of all the grammar facts covered in our English Grammar Recitation program. We’ve been saying for years that Latin teaches English grammar better than English teaches English grammar, and now we have written a course that makes the perfect English grammar supplement for your Latin program. 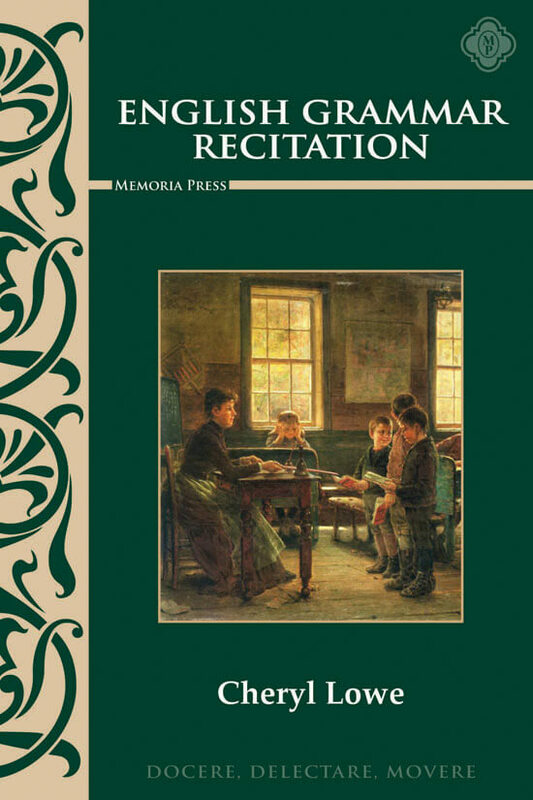 Memoria Press’ English Grammar Recitation is a manual of about 150 grammar questions, answers, and examples designed to be studied and memorized much like a catechism. 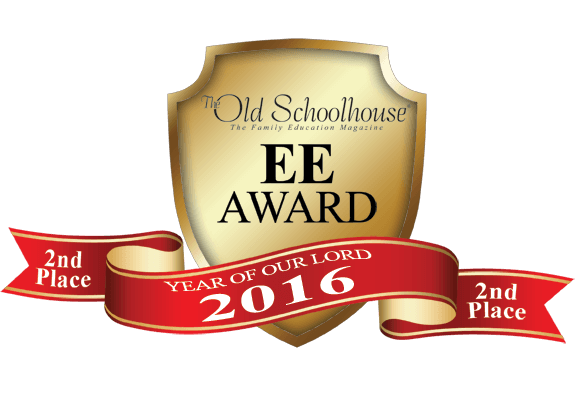 Students memorize the terminology and definitions of analytical grammar, much like they memorize forms in Latin. 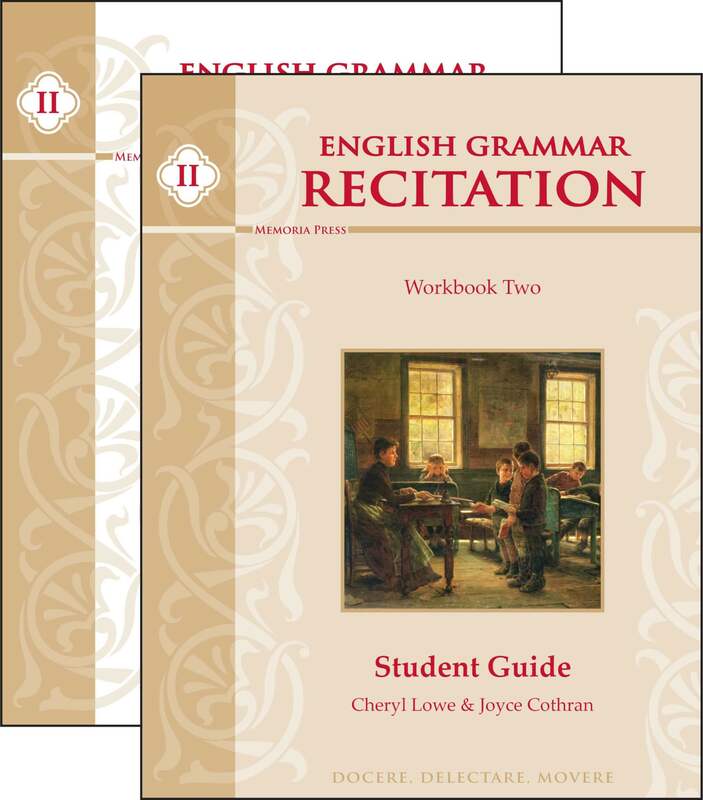 English Grammar Recitation is perfect for the serious Latin student who needs an English grammar program that coordinates with his study of Latin over the five years of Latina Christiana through the Form series. 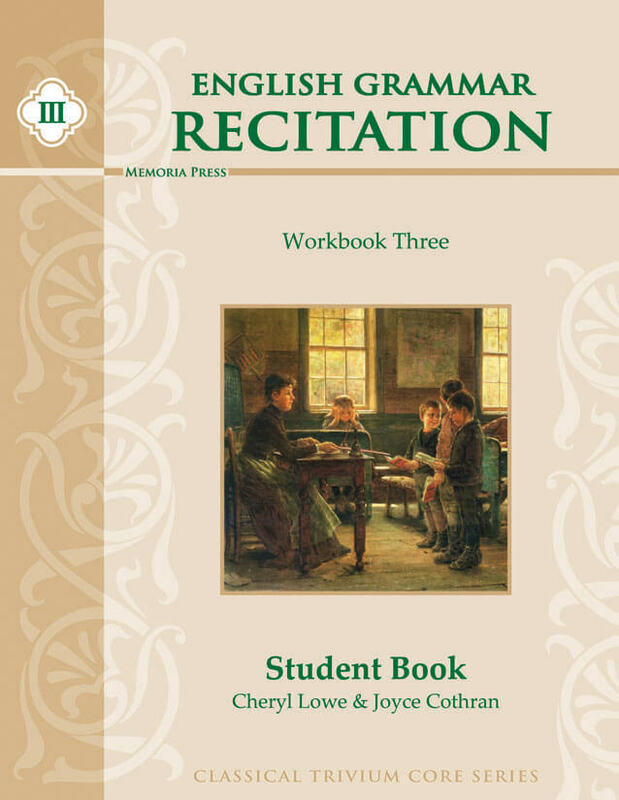 Need Lesson Plans for English Grammar Recitation III?